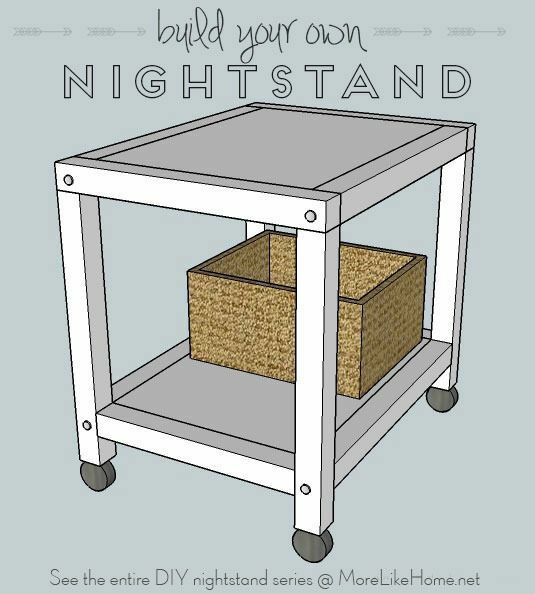 We're already on day six of our nightstand series! You can see the entire series here. Today's plan is for an open cart on wheels. 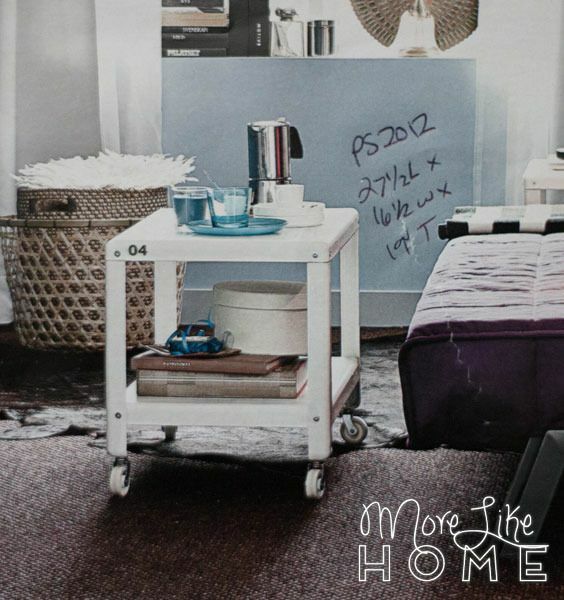 It's great as a nightstand, but would also work for an end table or even a printer cart in your home office! 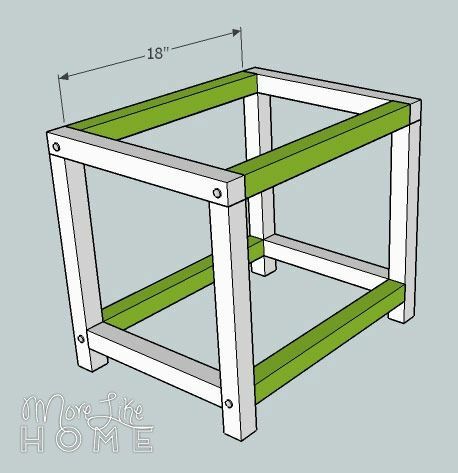 Add a big basket underneath for more storage. This plan is a based on a coffee table from the 2015 Ikea catalog (I like their catalog, okay?!) adjusted to nightstand dimensions. 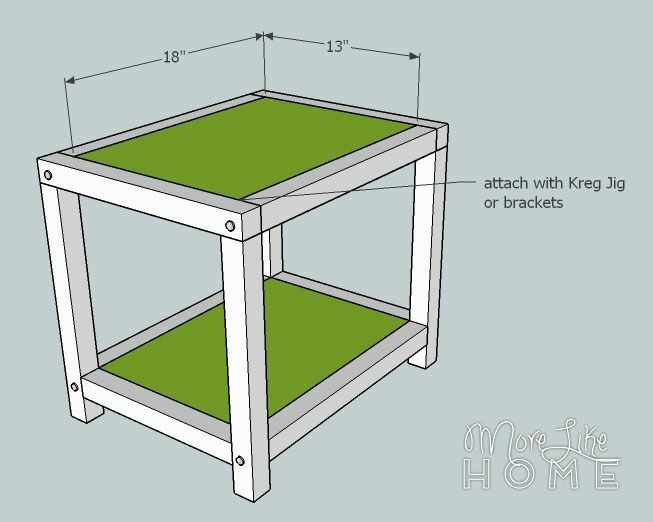 You can easily size-up these plans to make a coffee table instead. Start by attaching the top trim (B) across two of the legs (A) to create two leg sections. Keep the outside edges flush. 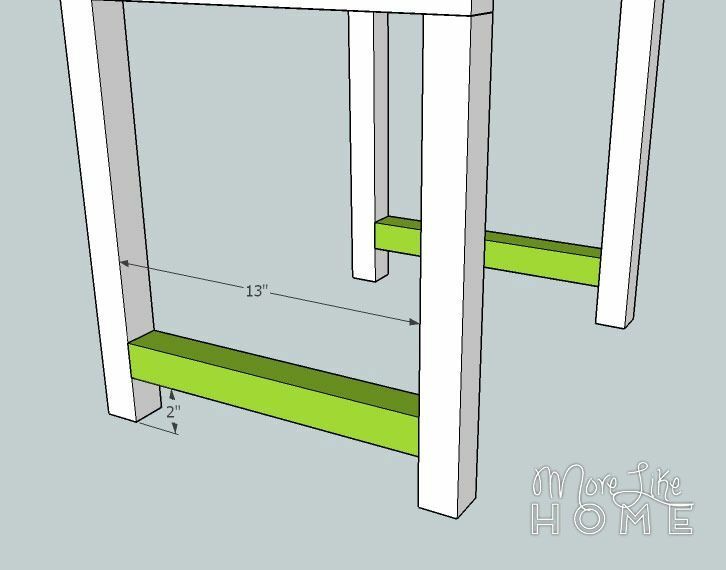 Use a Kreg Jig or drill through the trim into the tops of the legs. Add a piece of bottom trim (C) between the legs of each section. It should be flush with the front and back edges and set up 2" from the bottom of the legs. 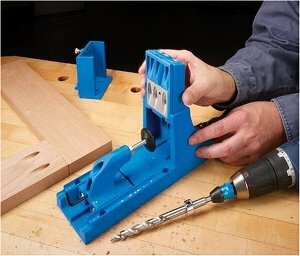 Use a Kreg Jig or drill through the legs into the ends of the trim pieces. Use the side pieces (D) to connect the two leg sections. 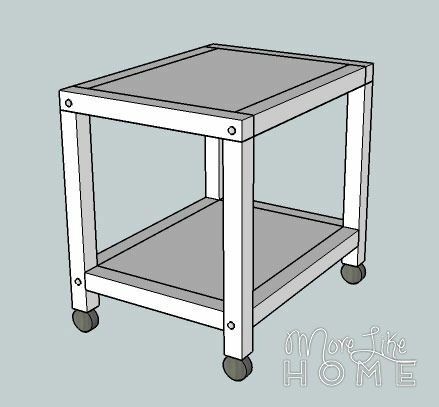 On each side, one board should be flush with the top edge and another should be set up 2" from the bottom of the legs (level with the bottom trim). 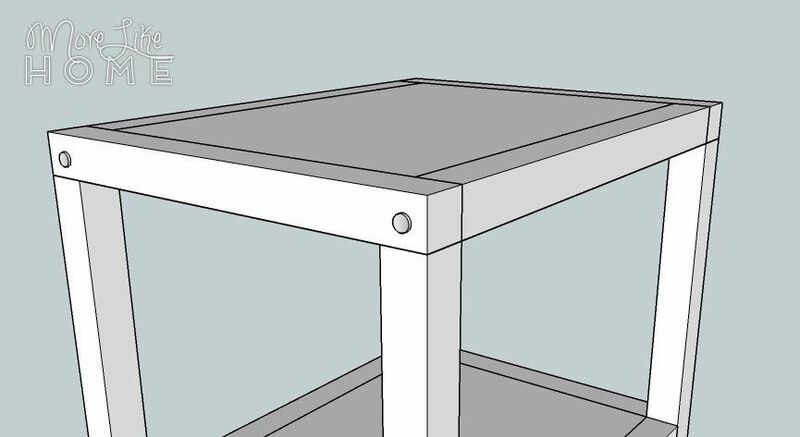 Use a Kreg Jig or drill through the top trim and legs into the side boards. 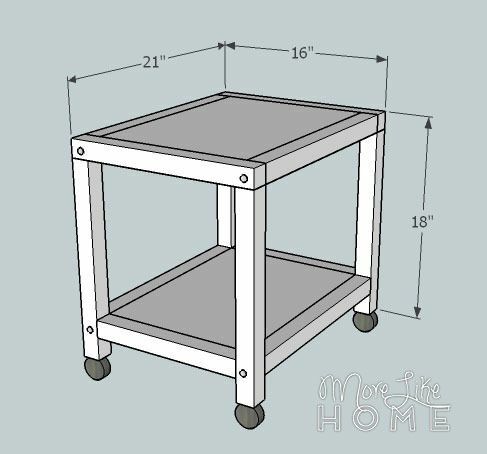 To get the more industrial style of the inspiration table you can use something with a large bolt head for these joints (or if you use a Kreg Jig just add a really short bolt for looks). 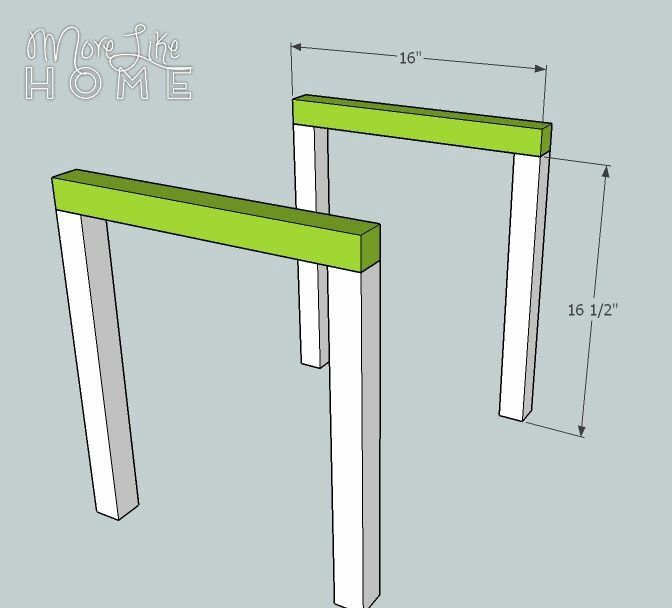 Follow the directions with your casters to attach them to the legs of your nightstand. We still have 12 more days of DIY nightstands coming up, and tomorrow's plans feature casters again!